Michael Mundy is the owner of Steel Bent Customs based out of Oldsmar, Florida. His garage has a track record for building bikes that are the distillation of modern café racers, I know that term is over used nowadays but it used to refer to bikes that were bought as stock, stripped back as much as possible to save weight and then modified only in ways that would increase performance. 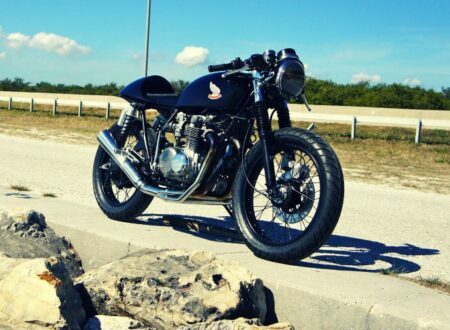 Very much like this Honda CB500.